Israel’s propaganda messaging targeting the left includes greenwashing – falsely marketing Israel as environmentally friendly – and pinkwashing, a strategy that deploys Israel’s supposed enlightenment toward LGBTQ issues to deflect criticism from its human rights abuses. Regard for Israel remains reasonably high overall – 62 percent view Israel as either an ally or friendly, according to the poll – especially when compared with the results for states that are routinely demonized in US media, including Turkey, Iran, China, Russia and North Korea. But as Shalev notes, Israel’s standings “pale in comparison” to those of Canada (81 percent “ally” or “friendly”) and the United Kingdom (80 percent), and Israel’s position is lower than Germany (68 percent), Japan (69 percent) and South Korea (68 percent). This poll confirms long-term trends about the profound change in the profile of support for Israel, which includes a dramatic erosion of support among younger American Jews. It also suggests that the tens – perhaps hundreds – of millions of dollars Israel and its lobby are spending on shoring up that support has been a very poor investment. Some people will defend any violent demagoguery as long it comes from the mouths of Israeli leaders. Something seems extremely fishy. Abbott 3 weeks ago was running ahead of the pack sabre rattling bringing a fatwa down on us. The pack is now in front?? 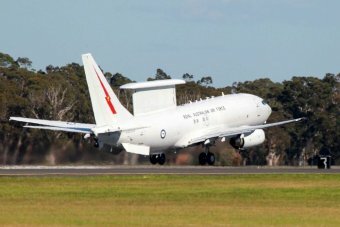 Australian refuelling and surveillance planes will today start flying over Iraq in support of the international coalition battling Islamic State (IS) militants, Prime Minister Tony Abbott says. But Mr Abbott has told Parliament there is yet to be a decision made on when to commit Australian combat aircraft to the fight against what he says is an “apocalyptic death cult”. Australia last month sent 600 military personnel and eight F/A-18F Super Hornet fighter jets to the United Arab Emirates in preparation for joining the attack on IS targets in Iraq. “We have not yet made a final decision to commit our forces to combat but Australian aircraft from today will start flying over Iraq in support of allied operations,” Mr Abbott told Question Time this afternoon. “Ours are support operations, not strike missions.